Re-brand a popular media site and UX/UI enhancement. Rant, Inc needs an established identity system to unite different properties across its network. Rant, Inc. which best known for RantSports and RantLifestyle, has over 21 million unique visited on a monthly basis. We chose a mark that represents an opinionated dialogue and a design that can be tied with different Rant media properties. To aggregate many opinionated conversations into the network. Goal: To Increase visitors views, customer experience and improve trust. 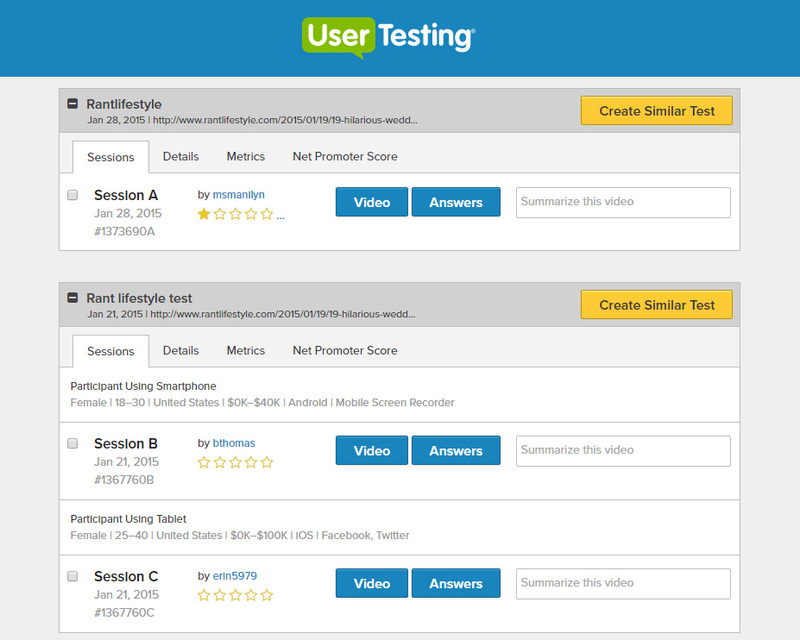 Get user feedback from Usertesting.com and identify areas that are causing grief for site visitors. We evaluated learn-ability, efficiency, errors, satisfaction on the user study. 1 – Identify problematic areas such as browser incompatibility, ads freeze up and caused slow page load. 2 – Users are frustrated by clicking the slideshow repeatedly. 3 – The comment area is cause page over-extended page length, and cause readability issue. 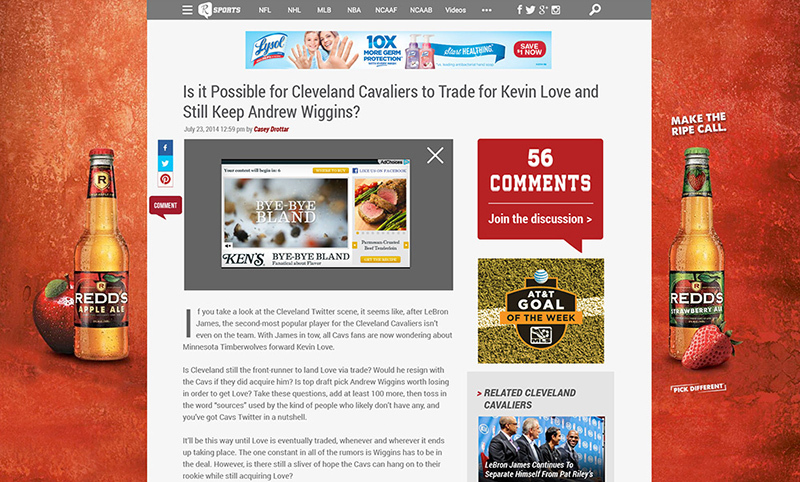 Indicate ad load message and change the placement. and responsive images for faster load time. Modify slideshow component into a vertical scroll, lazy loading, and responsive images for faster load time. That also beneficial to the mobile layout. 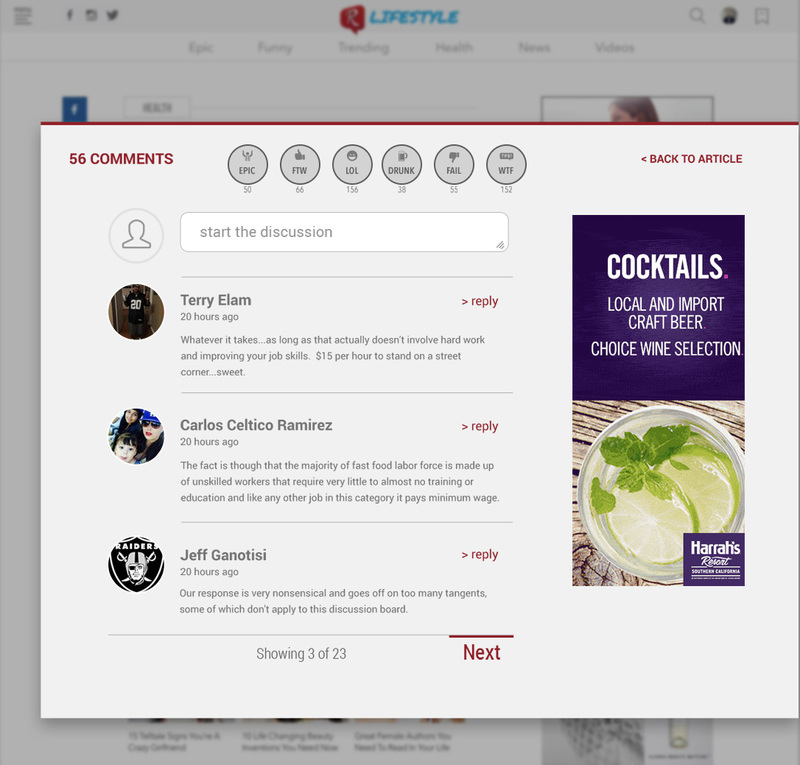 Separate comment area into a modal, and thus to reduce page length. 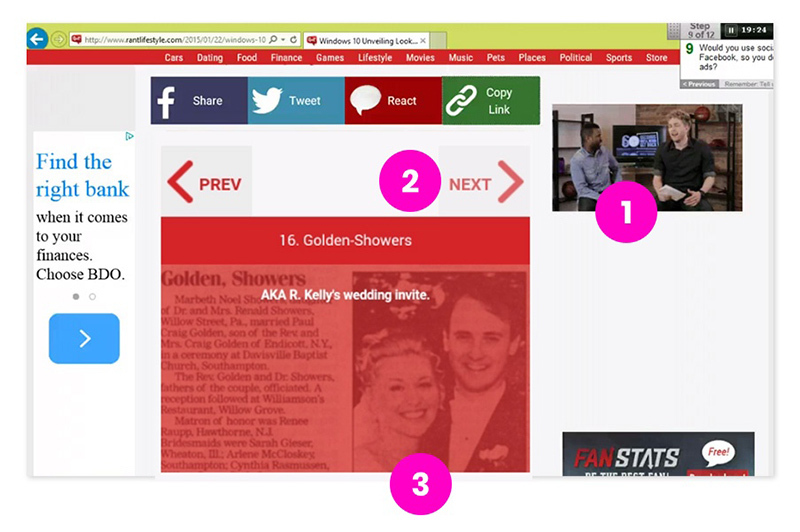 Integrate social login and unify comment. Add bookmark for users to return for their saved content. Introduce newsletter email collection for exclusive contents. 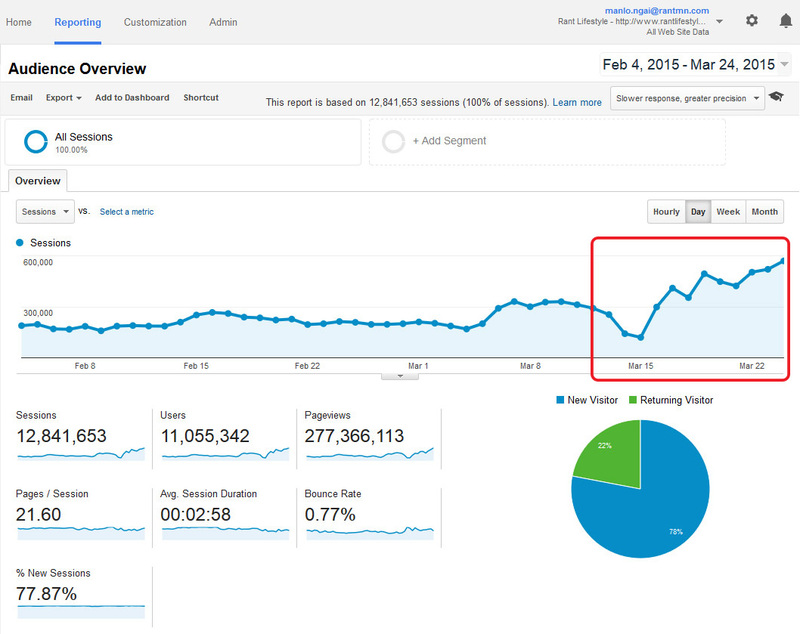 Results: Increase overall page view with over 100% after a week of the implementation. After this usability improvement and proof to the business’s bottom line. Our next step is to improve user retention as one of the key metrics that are important to advertisers.